Education Infrastructure NSW is a new unit that oversees the planning, supply, and maintenance of NSW schools. Government schools are predicted to grow 21 per cent by 2031 with the majority of this growth, approximately 164,000 additional students, in Sydney. As a government department, the unit needed a platform to communicate the implementation of the School Assets Strategic Plan (SASP) and completed projects to the public. Ladoo worked closely with the internal team to understand the requirements for the future of school infrastructure in NSW. Ladoo’s challenge was to manage and migrate data from different systems into the website so they could clearly convey the outcomes from the strategic plan, including key findings, ongoing and completed capital works projects. The intuitive map and modules needed to fit into a flexible framework that could adapt to future infrastructure projects and budget updates. 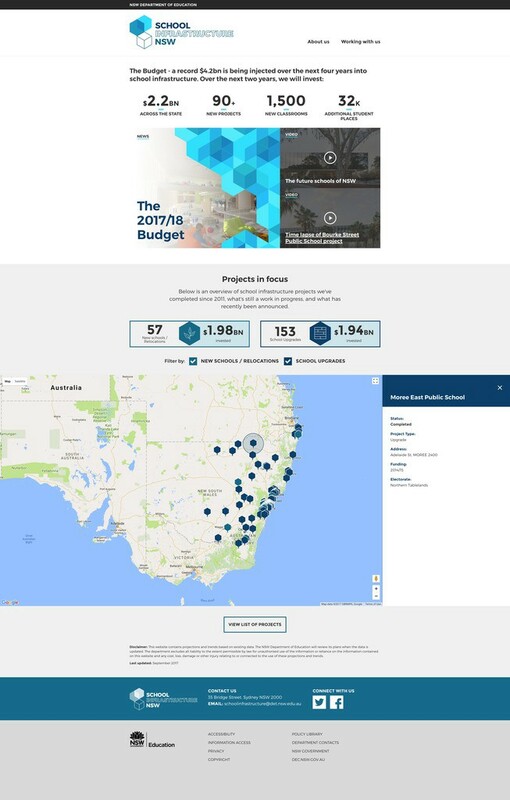 The School Infrastructure NSW website caters to 2200 schools and over 180 projects state-wide. The important data about the schools and projects was stored separately in two different systems. Due to legislative requirements, these data sets could not be combined, making it difficult to display the information in a meaningful way. 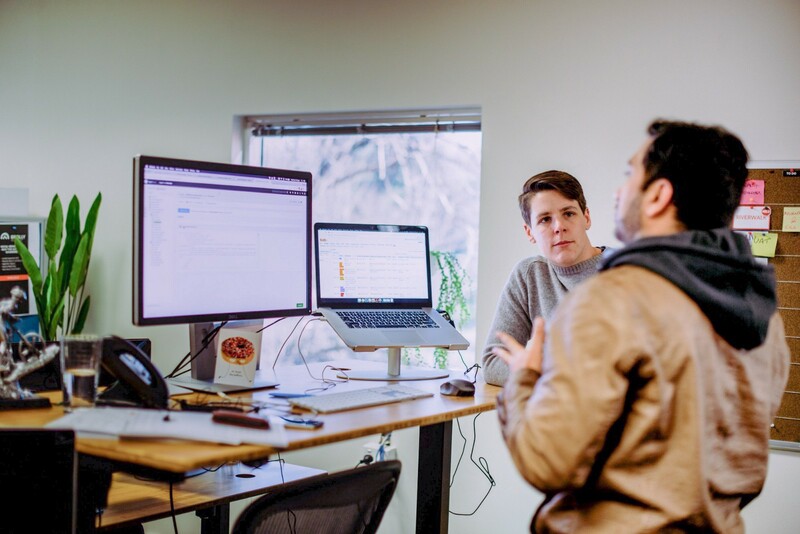 Our team created custom scripts that connected the two data sets intuitively, creating custom modules for easy content management and ensuring that the school and project information could be displayed together on the website. These custom scripts have replaced the manual labour of migrating information into the new website, saving valuable time and money. It was important that the public could easily see the completed and in-progress projects so Ladoo built a responsive map into the website design, where users can filter by new/relocation schools and school upgrades. This visual and interactive map showcases the new infrastructure strategy and communicates its aims to the public. The recent launch of the website prominently displays key figures from the budget and includes featured modules for dynamic video content, news and projects. We’re working with NSW Department of Education to transform their existing family of sites in the near future. Together we’re working towards connecting the department with the growing public demands for digital services and communication.